Has Apple Maps already reached the end of the road? 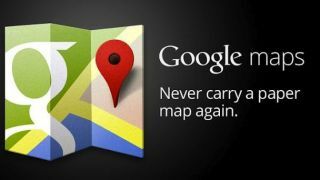 Google has apparently started distributing a test version of its iOS Maps app to certain individuals, as the firm looks to take on Apple's disappointing effort. According to a Wall Street Journal source, several key figures outside of Google have received the test version of Google Maps on their iPhones. The finishing touches are now being added to the dedicated application, which will mean iPhone users won't have to rely on the mobile browser version, with the app providing a more featured-packed experience – apparently similar to the one you get on Android. Apple Maps arrived alongside iOS 6 and the iPhone 5 this year, but it came under instant criticism after numerous errors, inaccuracies and bugs were discovered. The situation was so bad it led to Apple CEO Tim Cook issuing an apology to customers and recommending that they use other mapping solutions while they work out the problems. This leaves the door wide open for Google to come in and leave its mark on iPhones (in a similar way to Nokia Here), and if it manages to get the native app on the App Store before Apple addresses its issues, it could well be game, set and match for the search giant. There's no word on when the final version will be available in the App Store, and Google is apparently yet to submit the app to Apple for its strict approval process.